Pandit Dasa is a Mindful Leadership Expert. 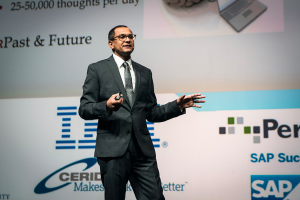 He has spoken on Mindful Leadership and conducted workshops at Google, IBM, JPMorgan Chase, Citi, State Farm, Bank of America, Nationwide, Intel, Novartis, The World Bank, UBS, Royal Bank of Canada, UNICEF, Bank of Montreal, Harvard, Columbia University, and many other institutions. He has also presented at the World Government Summit in Dubai, the SHRM National convention (2016 & 2018), SHRM Arkansas, Oracle HCM conference, LEAD2017 and the WorkHuman Conferences. 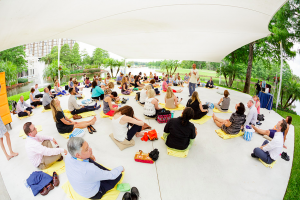 At these workshops, Pandit presents the research on Mindfulness and explains the importance of leading by example, appreciation, communicating mindfully and managing one’s emotions. He also engages the audiences in various breathing and focusing exercises that individuals will be able to implement at work and at home. Through these workshops, Pandit helps individuals develop positive leadership qualities, lower stress and anxiety, increase focus and productivity, and boost emotional intelligence. 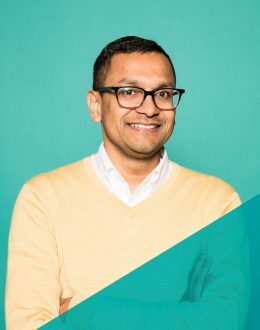 Pandit has spoken at a TEDx conference and has been featured in the Wall Street Journal, PBS, NPR, The New York Times, Psychology Today and writes for The Huffington Post. 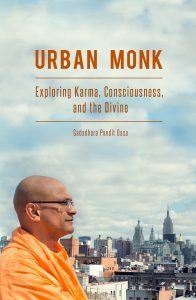 In his book, Urban Monk, Pandit writes about the turning point in his life that came after his family lost their multimillion-dollar business, which ultimately led him to living as a monk for 15 years in New York City. He uses his training and experiences to help corporate and student audiences manage stress and develop a work-life balance.